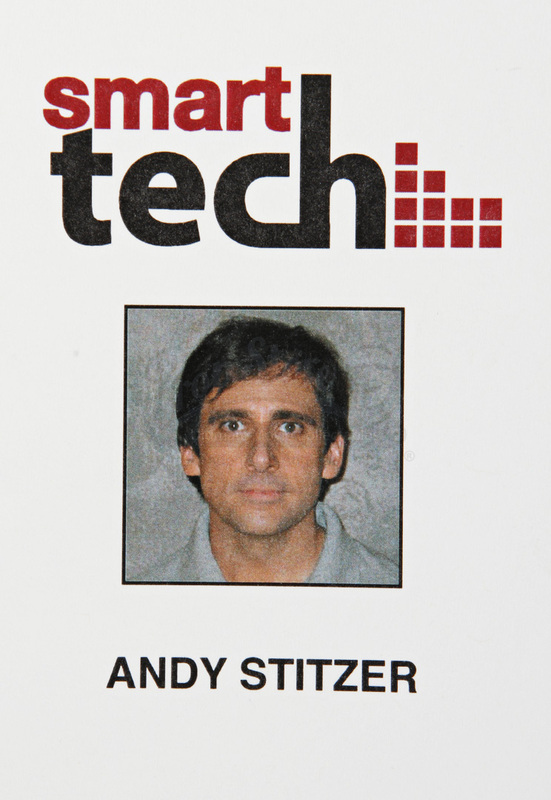 Andy's (Steve Carrell) Production Made Smart Tech Badge Display from Judd Apatow's 2005 comedy, The 40 Year Old Virgin. 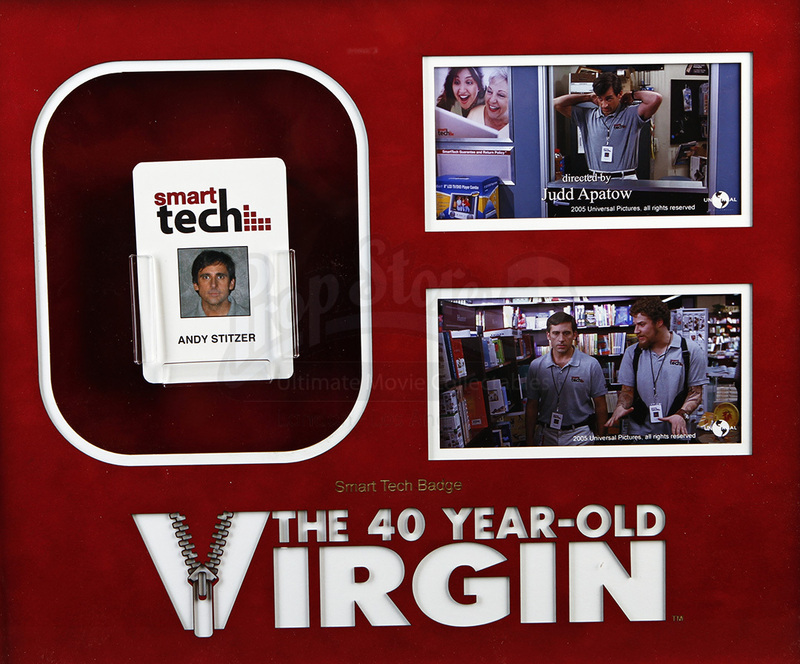 In the film, a middle-aged man embarks on a quest with his friends to lose his virginity. 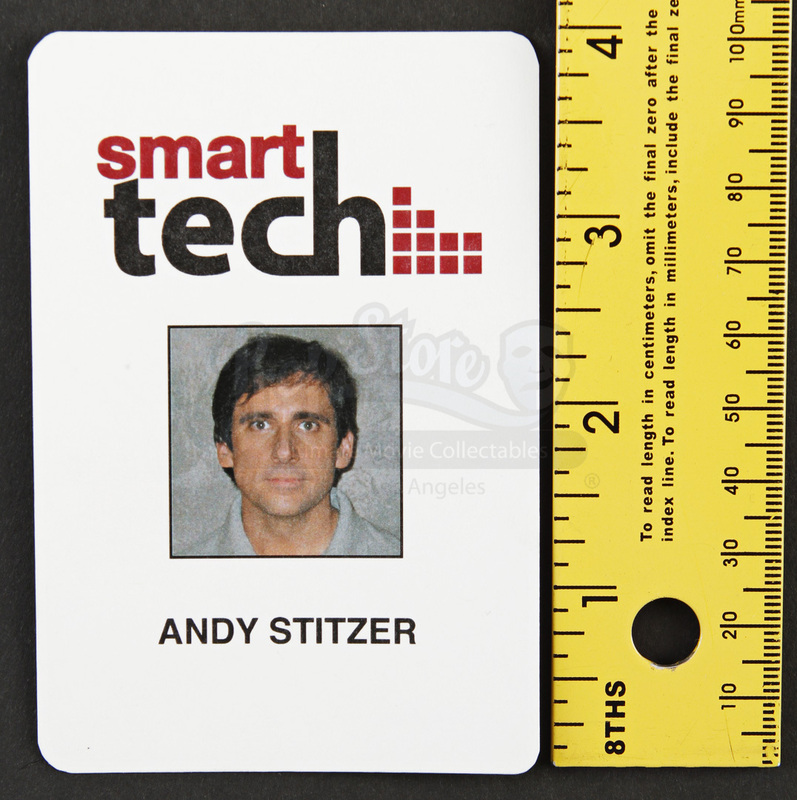 Badges like this one can be seen handled and worn by Andy and the rest of the Smart Tech staff throughout the film as numerous scenes take place in the fictional store. 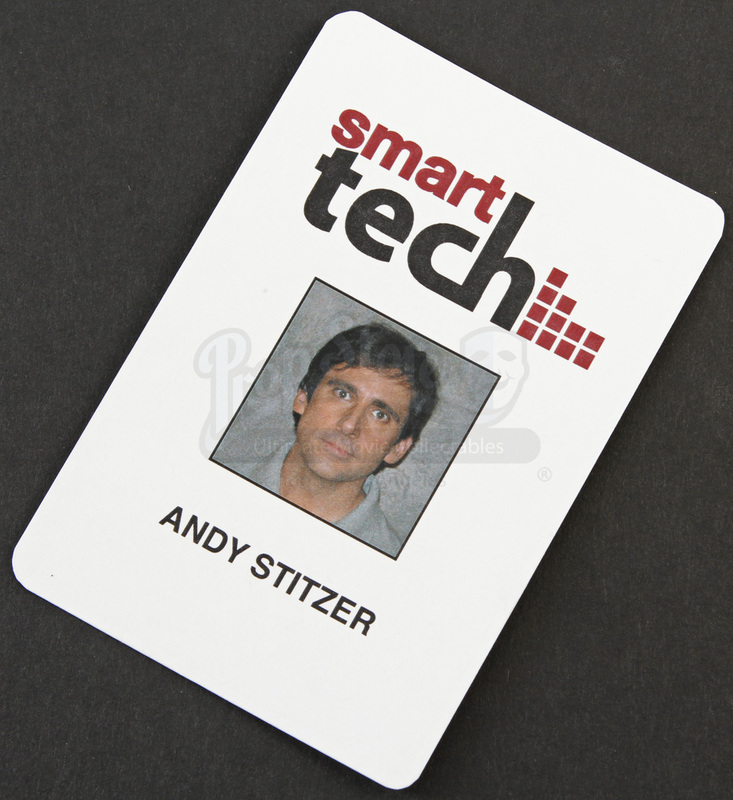 This production made badge features the Smart Tech company logo above a picture of Andy. 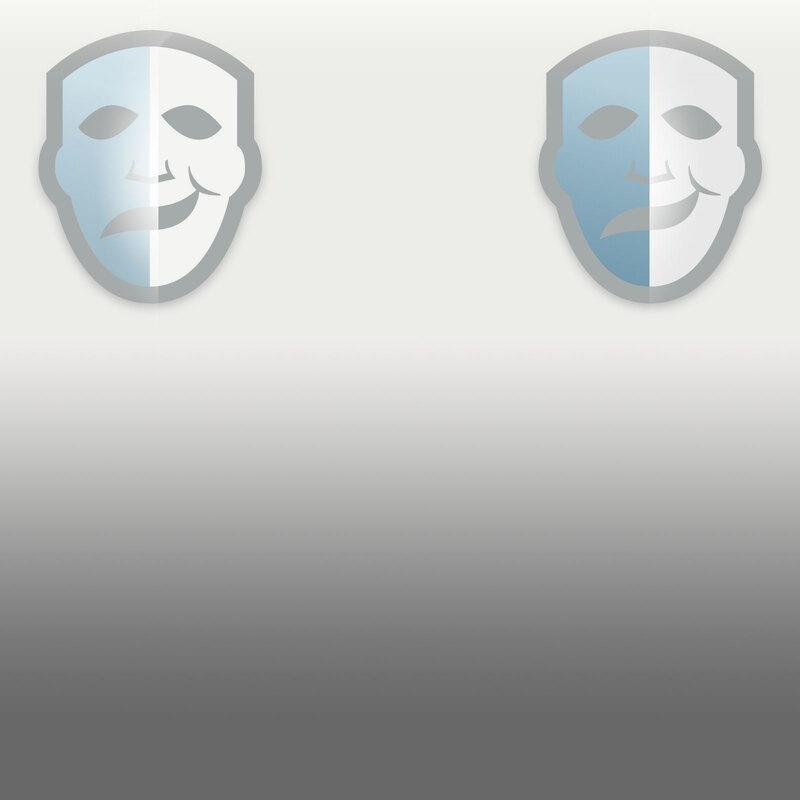 Below the picture is Andy's name. 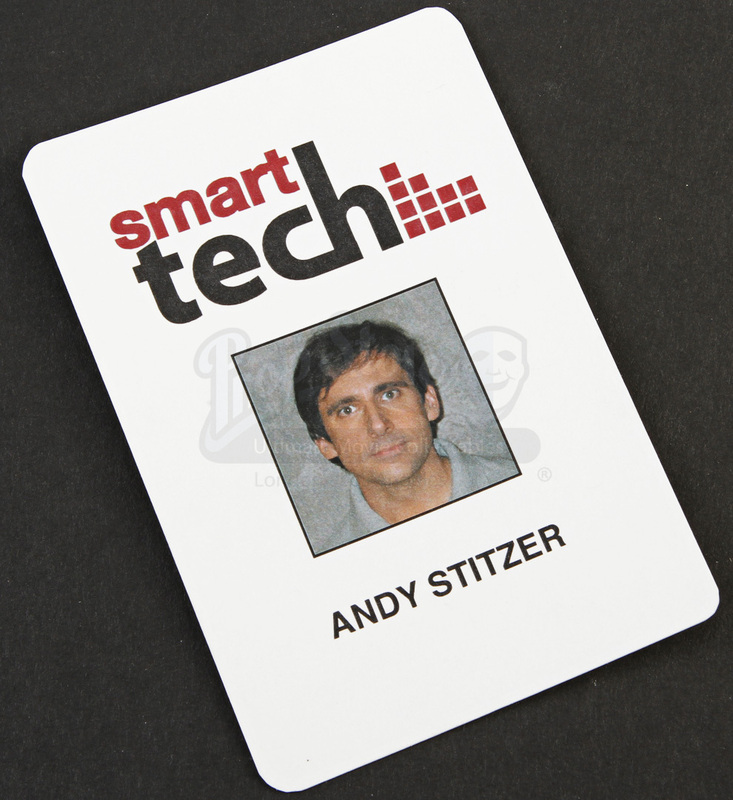 While the finished version seen on film comes laminated and attached to a lanyard, this badge is an unfinished option that has been printed on card stock paper. 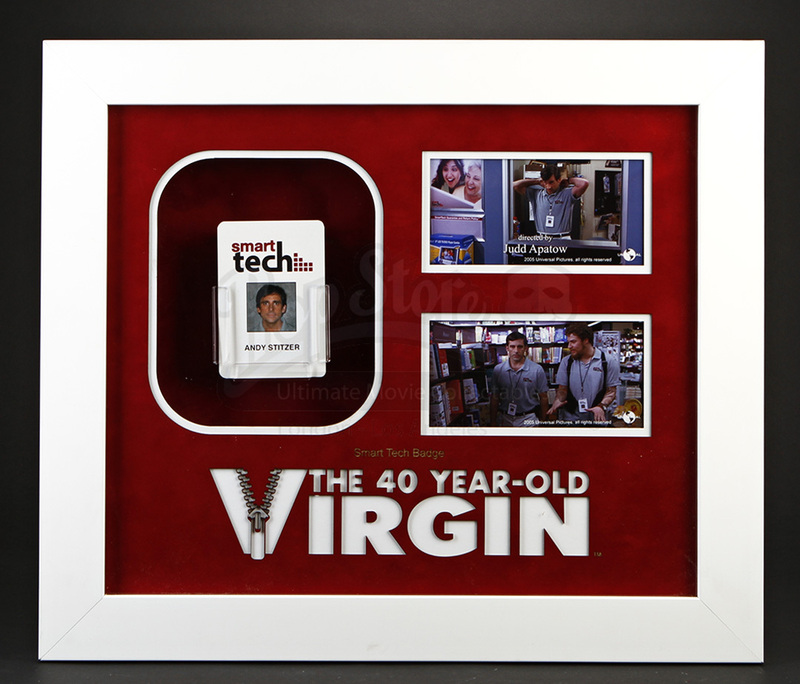 This item comes presented in a custom-built opening frame display with a UV-Plexi facing over a laser-cut mount board featuring the film’s title as well as two stills from the film. This display can be easily opened and closed by use of magnets on the side, allowing for easy access to the prop, and remains in very good condition.